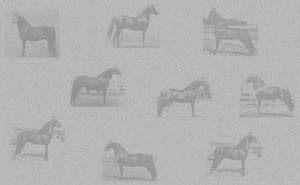 "Tizzy"was a hot mare and a brilliant if erratic performer. 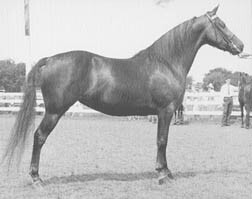 When she was "on" she was a winning park saddle mare and won Grand Champion mare at the New England show, back when it was the "National". 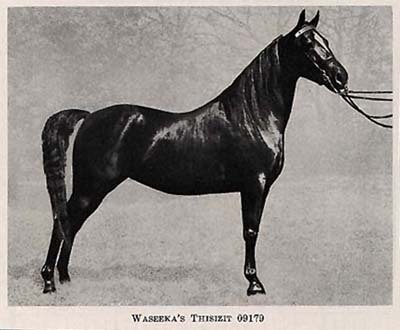 Her real destiny was as a great broodmare for Waseeka farms, producing Waseeka's Showtime, Waseeka's Tiz Tops, Waseeka's Tiz So, Waseekas's Interlude, Waseeka's Endeavor, Waseeka's Here Tiz, Waseeka's Tiz Me and Waseeka's Dial Tone.